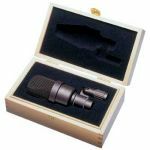 Surround-configuration with five M 930 microphone and special holder in aluminium case. Large diaphragm microphone with a new developed capsule. Very neutral sound, outstanding technical data. Easy positioning due to compact size. Cardioid polar pattern. 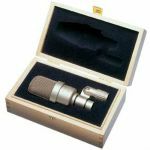 Large diaphragm microphone with a new developed capsule. Very neutral sound, outstanding technical data. Easy positioning due to compact size. Cardioid polar pattern. Matched pair with ORTF stereo bar.